The first survey commissioned by The Sunday Times for the election puts the Labour Party ahead. Kurt Sansone analyses the figures. Joseph Muscat claims to be the underdog in this election but for a whole year his party has seen a surge of support among Nationalist voters. The swing to Labour, which only a year ago stood at six per cent, now stands at a net 11.7 per cent, according to the latest Misco survey commissioned by The Sunday Times. The swing – a term used to describe those who claim they will be voting for a different party in this election from the one they voted for in the last has been fairly consistent throughout the last months. 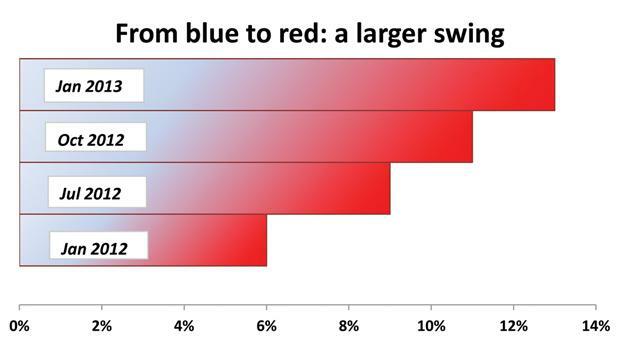 However, when compared to a survey carried out for The Sunday Times in January 2012, the swing has doubled and is significantly higher than the swing Labour had registered in its favour at the start of the 2008 election campaign. The difference between today and five years ago is that the PN had a much bigger majority before the 2008 election. With only 1,500 votes separating the two parties in the last election, Labour only needs a swing of less than one per cent to scrape through and win. But a deeper analysis shows that Labour has not only benefitted from disgruntled PN voters but has also managed to win over the bigger chunk of those who said they did not vote in the last election. 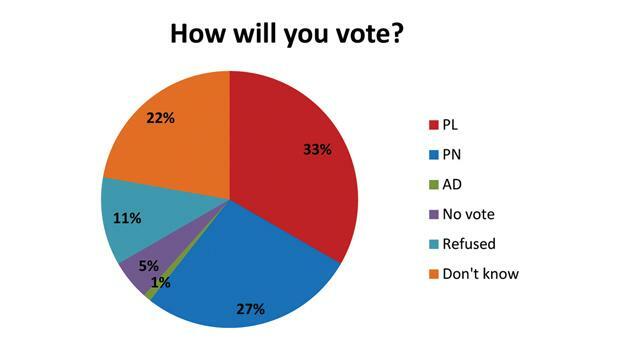 According to the survey, 20 per cent of non-voters in 2008 will now vote PL as opposed to 11 per cent, who will give their number one vote to the PN. 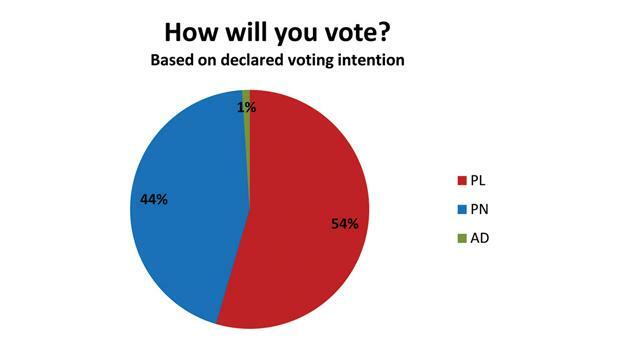 Labour trails slightly behind the PN among new voters. While 30 per cent of those who were not eligible to vote five years ago will flock to Labour, 33 per cent will opt for the PN and three per cent to Alternattiva Demokratika. When analysing the lead based on the raw figures, Labour is ahead by six points, almost half what it was in October. The gap closed on the back of a stronger PN performance. However, an important factor that needs to be considered in the analysis is that Labour-leaning respondents may have been less likely to state their opinion in the survey or to state that they had voted for the Labour Party in 2008. When asked how they voted in the last election, 39 per cent said PN and 26 per cent said Labour – a far cry from the very close result of five years ago. Given that the sample was selected randomly, this indicates that Labour-leaning respondents were less forthcoming in declaring their voting intentions. He faced internal dissent and lost a minister along the way yet Lawrence Gonzi’s leadership was judged satisfactory by 45 per cent of respondents. This does not mean Dr Gonzi was not bruised by the events of the past five years. An equal percentage were unsatisfied with his leadership and almost 10 per cent were undecided. It seems that judging Dr Gonzi’s leadership is pretty much a black and white affair, which contrasts with the figures for Labour leader Joseph Muscat. While 42 per cent were satisfied with Dr Muscat’s leadership, 30 per cent judged him negatively. However, Dr Muscat entered the campaign with a third undecided about his leadership. A breakdown of leadership satisfaction by party allegiance showed that four per cent of those who said they will vote PN were not satisfied with Dr Gonzi’s leadership. However he did get thumbs up from five per cent of Labour voters. 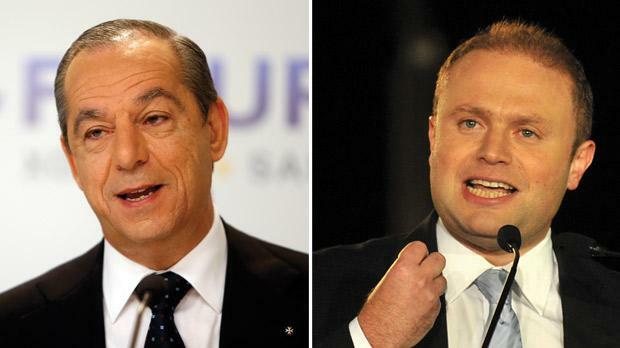 Dissatisfaction with Dr Gonzi’s leadership shot up to 21 per cent when taking into account those who voted PN in 2008. While at the opposite end of the spectrum, Dr Muscat failed to get the approval of three per cent of those who said they will vote Labour but managed to satisfy eight per cent of Nationalists with his leadership. However, Dr Muscat has more voters, Labour and PN, who are uncertain how to judge his leadership. Twelve per cent of Labourites did not know what judgement to pass on Dr Muscat and 20 per cent of Nationalists followed suit. With the PN hammering home its economic record and the PL championing its cause to lower electricity tariffs, the parties seem to have chosen their battleground wisely. According to the survey the PN emerges as the party with the best economic policy while the PL is best-placed to address the energy prices issue. On the economic front, 39 per cent of respondents said the PN had the best policy followed by Labour at 26 per cent and AD at two per cent. The rest were either uncertain or felt none of the parties had good economic policies. On energy, Labour emerged on top with 42 per cent with the PN lagging behind at 20 per cent and AD at two per cent. A quarter of respondents were uncertain while around 11 per cent felt none of the parties could address this issue. 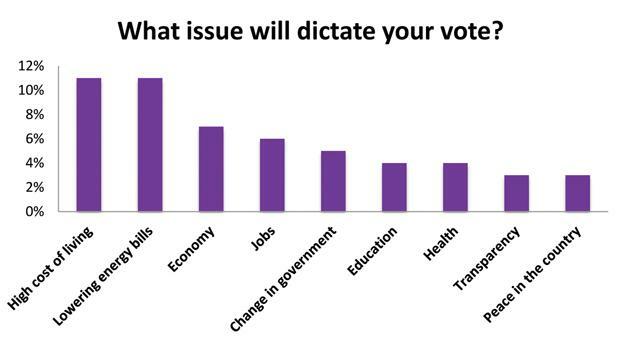 But Labour’s policy positioning was further bolstered by the fact that cutting utility bills was one of two topmost issues that respondents felt dictated the way they will vote in March. At 11 per cent, lowering energy bills was at par with the high cost of living as the most pressing issue, according to the survey. The economy came in third at seven per cent, followed by jobs at six per cent. In fifth place, five per cent of respondents felt the country needed a change in Government and this was an issue that will dictate the way they vote. Within the space of a month the two major parties replaced their deputy leaders and the move seems to have paid off. 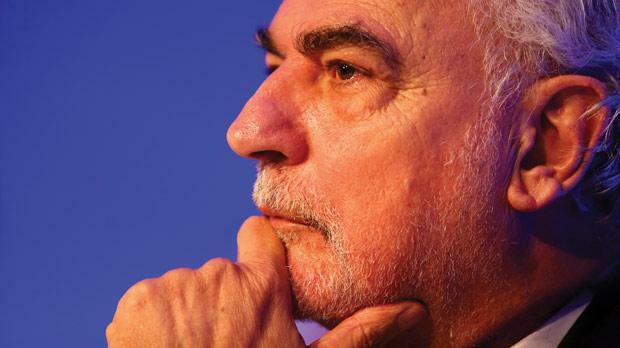 Overwhelmingly, respondents believed that Simon Busuttil for the PN and Louis Grech for the PL, have improved their respective parties’ chances at the polls. While 55 per cent believe Dr Busuttil’s election as deputy leader will improve the PN’s chance to win, a greater percentage (58 per cent) believe Mr Grech can do the same for Labour. 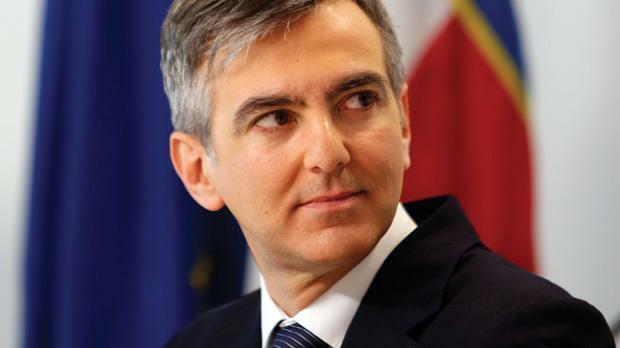 Interestingly, 32 per cent of those who will vote PL believe Dr Busuttil has improved his party’s chances while seven per cent of Nationalist voters do not believe so. Mr Grech’s positive assessment is stronger among PN supporters with 50 per cent of them saying he will improve Labour’s fortunes at the polls. Linked to the deputy leaders’ issue is Dr Muscat’s decision to ask for his previous deputy’s resignation. When asked whether he was right to call on Anġlu Farrugia to resign, 40 per cent of respondents said yes while 32 per cent did not know. Among Labour voters Dr Muscat’s decision was judged positively by 63 per cent while only 11 per cent felt it was a wrong move. But Dr Muscat also received a high approval rating for this decision from PN voters with 27 per cent of them saying it was the right one to take.